Rare metals — the so-named group is relatively new or little-used metals. Still does not learn until the end of the scale of production and scope. A matter of national importance is the use of rare metals in the defense industry and in the economy. Open rare metals in the earth’s crust contains small amounts. However, vanadium, titanium, beryllium, lithium, and some others are produced annually in thousands of tons. Sometimes bismuth and tantalum occur in nature in the form of nuggets. Discovered rich deposits of tungsten, molybdenum and titanium. Some ore deposits known to contain associated metals such as tellurium, indium, selenium, gallium, germanium, which are obtained in the processing of ore. Minerals of pegmatite veins also contain rare earth metals. The process of extracting rare metals is a very complex method of processing ore.
Rare metals have extremely valuable and varied qualities. Radioactive properties of some rare earth metals have been widely used in the nuclear industry. The use of even a tiny proportion of rare metals in the alloys to optimize their quality, for example, resistance to cryogenic temperatures to increase the heat resistance. According to scientists, rare metals can change the production technology of the modern sectors of the economy. When creating modern technology places very high demands on the applied alloys. Rare metals are the basis of these alloys. Structure, properties and method of application of some alloys of rare metals for modern technology are of utmost importance. Alloys of tungsten with manganese, for example, be of particular interest to researchers. But to these alloys is technologically very difficult, commonly used methods of powder metallurgy. To a special class of chemical elements are metals that will melt at high temperature — not less than 1650−1700°C. the refractory metals Group head rare metals. All of them are densely Packed atomic structure. High melting point, high hardness, strength and electrical resistance appears as a result of close interatomic electronic links. The most important field of application of most refractory metals are aircraft, missile and space technology, metal working. Refractory alloys as structural material find a place in the marine, engineering, electronic, chemical, electrical, nuclear industry. A particularly valuable structural qualities of hafnium, zirconium, niobium, molybdenum, tantalum. These metals are characterized by relatively low creep resistance at high temperatures melting. Welding of refractory materials is difficult because of high melting point, a large affinity to oxygen, hydrogen, nitrogen. These features contribute to the formation of pores in the seams, reducing their plastic properties, lead to the formation of grains during heating. Even a small amount of impurity leads to significant changes of properties. The second disadvantage of refractory metals is the need of applying various protective coatings against oxidation at high temperatures. In addition, refractory alloys insufficiently technological. They are badly deformed, cut, drilled. The main area are structural elements of nuclear reactors. Refractory alloys can be used in the future in space technology, nuclear energy, electric and other devices. For example, in capacitors, lasers with nuclear pumping. Refractory metals and alloys work in vacuum, in neutral and reducing atmospheres, are also aggressive and liquid metal environment. Oxidizing atmosphere at high temperature lowers the heat resistance of refractory metals. Therefore, they are applied with special protective coatings. Today all solid alloys used for calibration, stamping or as cutting tools, are based on refractory tungsten, titanium, molybdenum, in the alloy with Nickel or cobalt. High hardness carbides of refractory metals, provides resistance to wear. However, the alloys obtained by casting from pure carbides have not yielded the expected superhard qualities due to excessive brittleness. These carbides are usually included in the structure of sintered hard alloys. Tungsten and molybdenum have been widely used in electric vacuum and electronic industries, used for alloying tool steel. 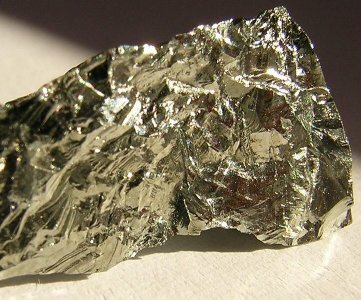 Vanadium is used in vacuum technology and in metallurgy as an alloying element. Zirconium and its alloys have been used in the nuclear and vacuum industry as a degasifier, and in the production of non-ferrous alloys. Tantalum and niobium are used for electrodes in tube rectifiers and a powerful generator devices. Tantalum demand in the chemical industry. Both metals are used as alloying elements for heat-resistant and acid-resistant alloys. In stock, LLC «Electrocentury-steel» a wide range of products from rare and refractory metals. We offer favorable conditions for wholesale and retail buyers. To see the prices of rare and refractory metals on our website. It offers experienced managers-consultants, who are always ready to help with the selection. The products pass the flaw detection control. Quality is guaranteed by strict observance of the norms of production at all stages. Delivery times are minimal. For wholesale orders there is a reduced discount.